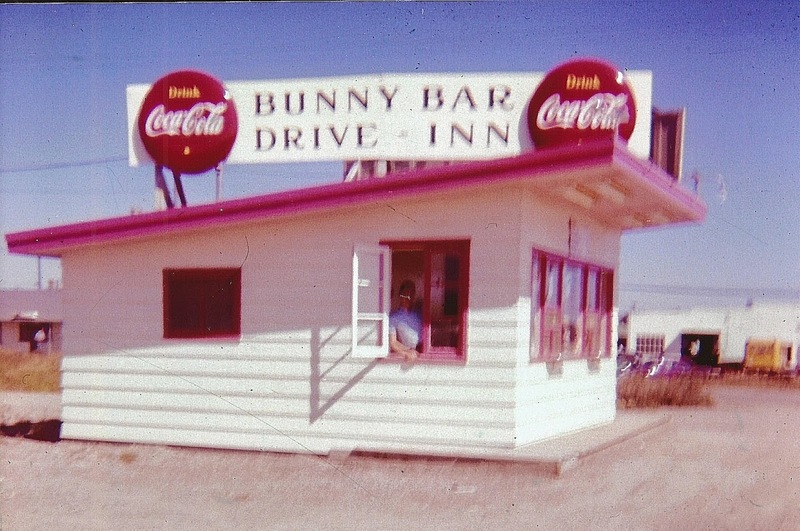 People who lived in Pincher Creek between 1959 to 1989 may remember the Bunny Bar Drive-Inn. 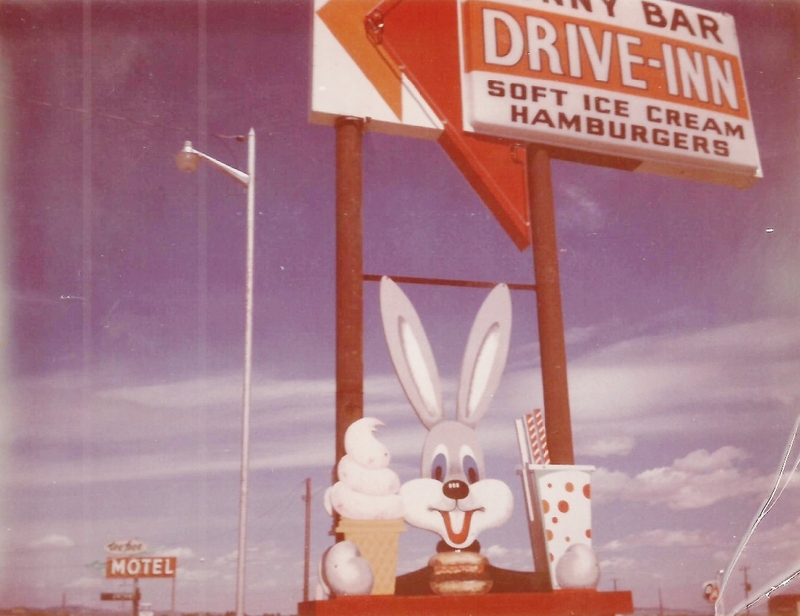 Kootenai Brown Pioneer Village has recently acquired part of the iconic Bunny Bar sign and will have it on display on Saturday, August 16 after the 2014 "Back to the Future" Pincher Creek parade, at the car show which will be held in the park to the west of Town Hall. Pat Petrone, one of the original owners of the Bunny Bar talked about the history of the establishment that was located on the corner of Main Street and Waterton Avenue, where Fast Gas is currently located. Pat and her friend Monica Flegal both had young children and saw a need at the time for family friendly food in Pincher Creek. The two women would visit and have coffee together. "'We said to each other, 'Wouldn't it be neat if there was somewhere in town where you could just go for a cup of coffee?' That's how the idea came about, and that's how we got started." With their husbands, Archie and Jim respectively, they went into business. 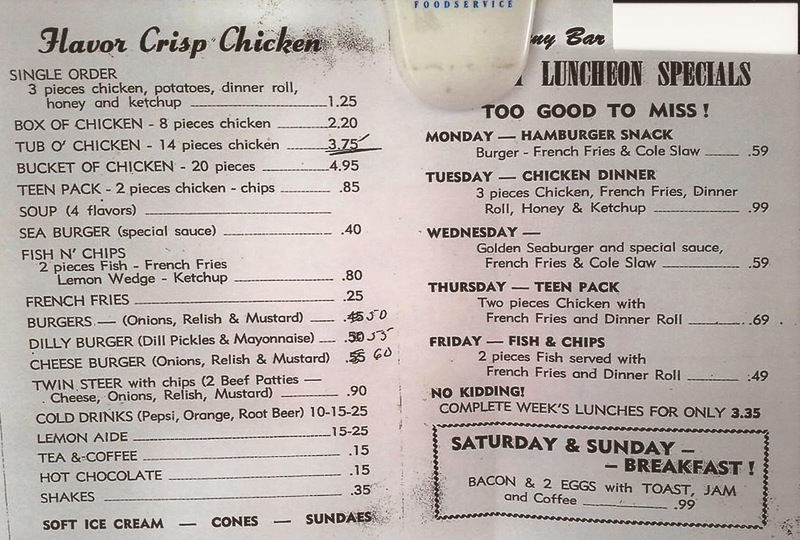 Bunny Bar menu circa early 1970s - Burgers went up to 50 cents! When they were looking for a place to set up they investigated one location along Highway 6 to Waterton, "Where the TeePee motel was." The Town planner at the time pointed out that across from that location was an area that at the time was a triangular ditch, and said that it might still suit their purposes. "This was just a deep ditch between the three roads, we built it right from scratch," said Petrone. "Our location was excellent, on the road to Waterton. The first, oh, I would say five years, they used to have jitney dances in Waterton." At a jitney dance you didn't pay to go to the dance, but you paid each time you went onto the dance floor. "They went until midnight on Saturday nights. 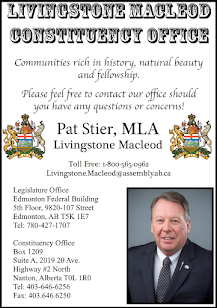 We would stay open Saturday nights just to accommodate the people that were coming back from Waterton that were hungry and wanted to eat after these dances." Monica and her husband Jim moved to Calgary and sold their interest in the business to the Petrones during the second year of operation. Petrone said she and Monica had been trained as nurses and cleanliness was a high priority for them. "The hospital here did not hire nurses, it was all nuns, then." "There were very, very few young people who stayed in Pincher at that time. There were no plants, and there was no work for them. Shell wasn't here yet. We wanted a clean place with good food, and we didn't want to serve anything that we wouldn't eat ourselves. that was our motto, the whole time." Even though the operation was in business for 30 years Pat said she really did not like to change the prices often. "We didn't want to raise prices too much. Our motto was that you are going to make money on the volume. If it's good, you're going to have people coming back. Keep the prices as low as you possibly could and make the food as good as you possibly could, and then you are going to make it on the volume. But that volume really kept us running, believe me. " Pat and her husband Archie Petrone worked the business, while raising 7 children. "They grew up there. I would bring them to work in a bassinet." 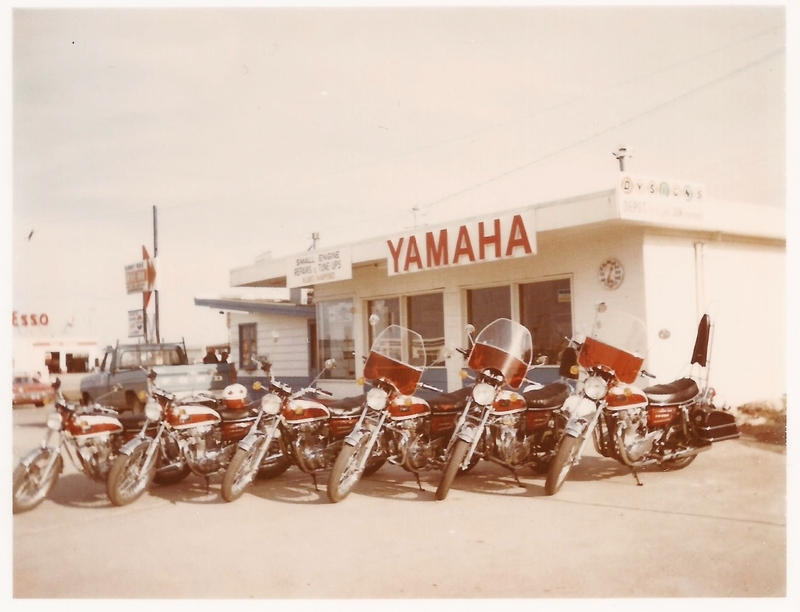 The whole family worked at the Bunny Bar, and in 1969 Archie who was a mechanic started running the Yamaha Shop in the back of the Bunny Bar and he and the boys in the family worked there. "All the kids were raised in there, and worked in it their whole lives. We were very busy. It was really successful. Archie was busy in the back, and I was busy in the front." "We were really very fortunate, because our help came, and they stayed with us." Peggy Duggan worked there for 25 years, Betty Kinzel for 22 years and Christie Kyllo for about 20 years. "We worked right along with them, and we worked as hard as they did. We had really good workers, and that made the business. I've got to chalk it up to the help we had." At the height of the Bunny Bar they were running two shifts of 8 - 9 people each in the summer, contributing to the economy. "We hired a lot of high school students in the summer. The busy times were weekends, and summers." In 1989 Petrones decided to retire, bringing an end to the local Twin Steer and Dilly Burgers. "I had so many years on my feet, I couldn't handle it anymore, and the kids were grown up." After Archie passed away Pat donated the sign to the museum, and is happy it will be on display after the parade at the car show. "I think this is very exciting. Maybe somebody will remember when they were there." Pat says that some people may even remember the words that were on the sign: "If you can't stop, slow down, sniff, and go hungry!" We posted on the Pincher Creek Voice Facebook page asking for your Bunny Bar memories and received the following comments. If you have Bunny Bar memories you'd like to share you can use the comment section below this story, contact us on our Facebook page (www.facebook.com/PincherCreekVoice), or send us an email to pinchercreekvoice@gmail.com. 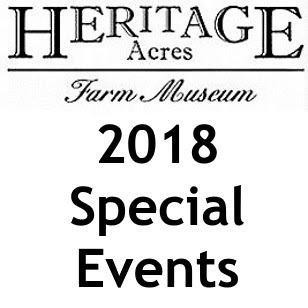 Also, Chris Davis of Pincher Creek Multimedia/Pincher Creek Voice will be DJing at the car show after the "Back to the Future" themed 2014 Pincher Creek Parade, and is taking suggestions for songs that would have been popular in Pincher Creek during the period the Bunny Bar was open. 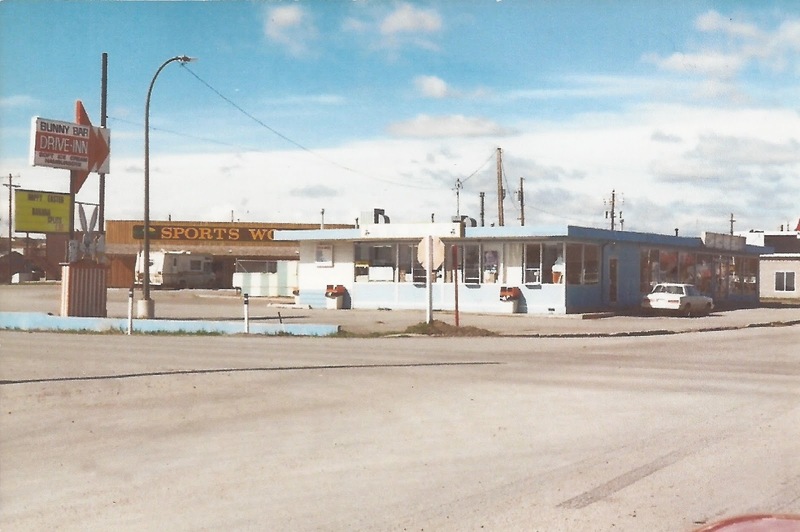 Marcia Stahl: It was the place to stop and get a cone or fries for the kids to eat on the way home from town...and it was the place the bus driver, Mr. Keith Warren, took the kids to on the last day of school for a treat! He paid with his own dollars! Our kids never forgot the Bunny Bar and they've never forgotten Mr. Warren either! Mel Kubasek: I remember and loved that place... best burgers and ice cream ever! But 1975 is sooooo long ago, I don't recall anything specific that is worthy of a story. It was just my favourite lunch time place when I worked for Price, Deering & Co. for a few months. Bruce Beauregard: That's where my mom and dad met...I do believe mom was working there at the time, roughly 1957 or '58. It was also a great place to get a cone when we came for a visit from Lashburn Saskatchewan. Tara Skye: My Mom's dog Jody used to get out of the yard and would end up at the Bunny Bar, and the staff would give him treats. I also remember going there as a very young child in the early '80s for ice cream. Toni Lucas: I remember the Dilly Burger was my favourite. A close second was the half chocolate half vanilla dipped cone. Lori Jo Ettenhofer: The BEST summer job I ever had. Annette and Archie were wonderful to work for! Everyone flipped "mainies" right in front of the Bunny Bar and we would call out to them as they drove by on the intercom… when Annette and Archie weren't around of course! My favourite was the chocolate banana milkshakes and a Twin Steer! Tammy Yard: Had my first ice cream soda there...sooooo good. Heather Dodd: Best burgers ever!! And fresh fruit shakes!! 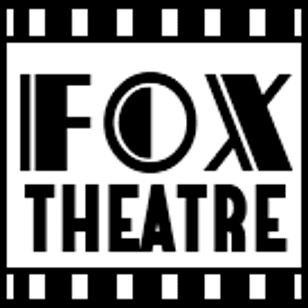 Shari Jackson: Loved that place !! Ashley Conley: I was only about 4 when the Bunny Bar closed its doors, but I clearly remember going lots with my Mom and brother. We always played "Don't Worry be Happy" on the juke box, and now whenever I hear that song I think of burgers and fries! That might be a good song to play! Thanks a lot! My mother, Edna Conalty, worked there for several years. I believe it was Archie’s vehicle I “bumped” into one day with dad’s old standard truck. I loved the licorice milkshakes - they were my favorite! Oh the Bunny Bar!!! THE place to go to after a hot day in the summer of working on the farm, milking cows, hauling hay and Dad would say, "One more load then lets go to the Bunny Bar"
But what I do remember always was how the older ladies always chatted and had a kind word to say. Great food, and it was a treat, as back then most families didn't eat out very often. But we frequently had the soft ice cream. Everyone raced to the Bunny Bar for ice cream and chocolate dips as soon as they heard it was open in the spring.